Via Universal Music – After a career that has spanned more than 50 years, Bob Seger & The Silver Bullet Band will hit the road for one last time on their final tour. More dates are being added to Seger’s previously announced dates, giving fans one more opportunity to see Seger and the band live. The Travelin’ Man tour kicks off on November 21 in Grand Rapids. Tickets for the new dates in Buffalo, Cleveland, Louisville, Fort Wayne, Peoria, Grand Rapids and rescheduled shows in Dallas and Houston will go on sale Friday, September 28. 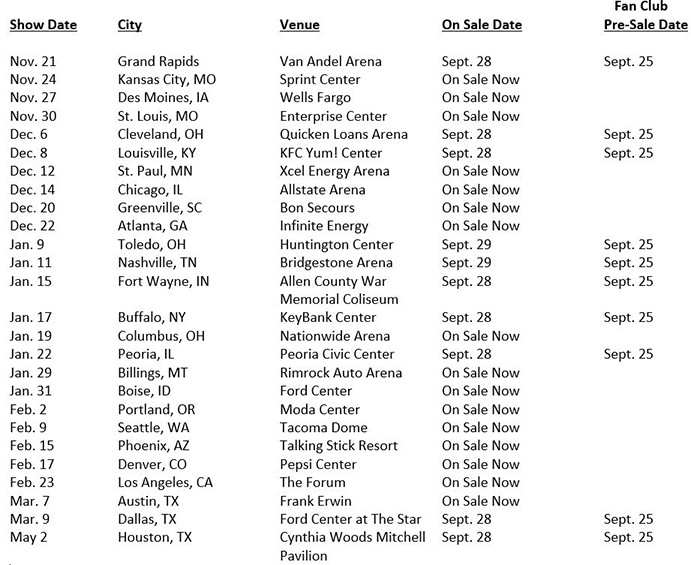 Tickets for new dates in Toledo and Nashville will go on sale Saturday, September 29. Additional shows will be announced in the coming weeks, including dates in Las Vegas, Fresno, San Diego, Vancouver, Florida and more. Bob Seger fan club members will have special access to purchase tickets in advance of the scheduled on-sale dates. To become a Bullet Club member, visit BobSeger.com/bulletclub.Tickets can be purchased at BobSeger.com.